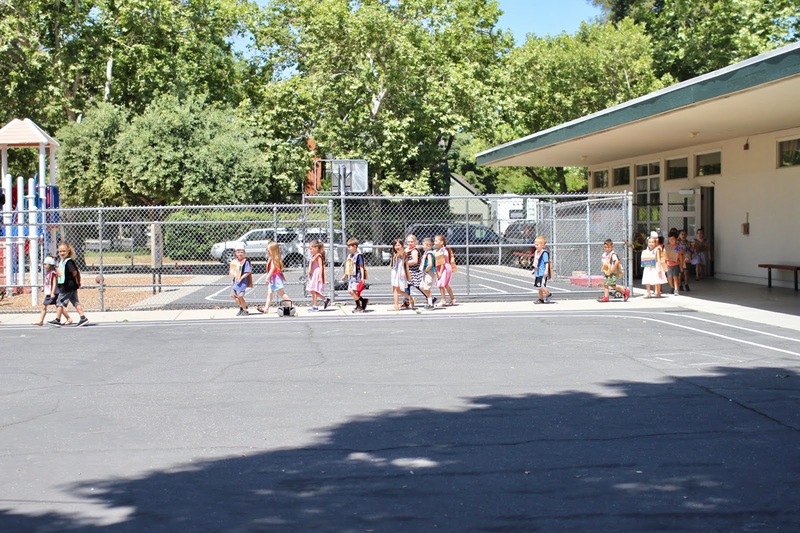 The kindergartners at the kids school does an ABC parade at the end of the school year. 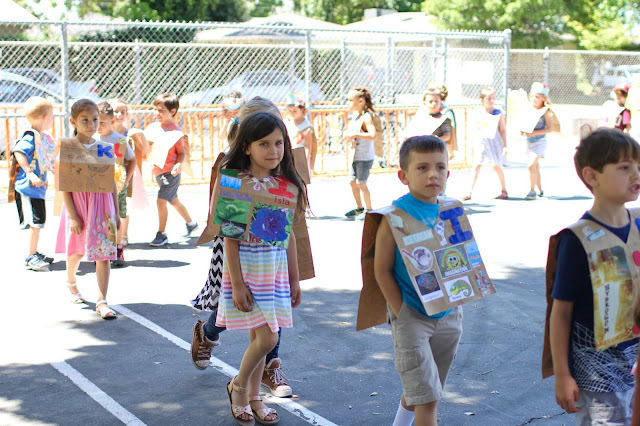 Each kid wears the letter vest they made earlier in the year and first parades around for the parents, then parades through EVERY SINGLE CLASSROOM. Yes, it's a small school. Here's the original post from when Isla made her "I" vest back in October. It's the sort of thing I love as a mom. Though I wouldn't complain if, say, it happened the week before school got out instead of the week of ;) That's probably only because this mom is fried with all that is going on this week. SO.MUCH.STUFF. I've actually had to hire babysitters for Callum for two different things at the school this week...it's a long complicated story, but the kids school doesn't allow non-student minors on campus during school hours. Not to mention the other things I took him to - like this parade and the school picnic at the park. But I'm getting off track with all my angst. The parade is super cute and it's fun to see all the different vests. Some of them are just so creative. ^^ Isla is in the middle of this picture, holding her hand up, waving at me, as they left their classroom to start the parade. 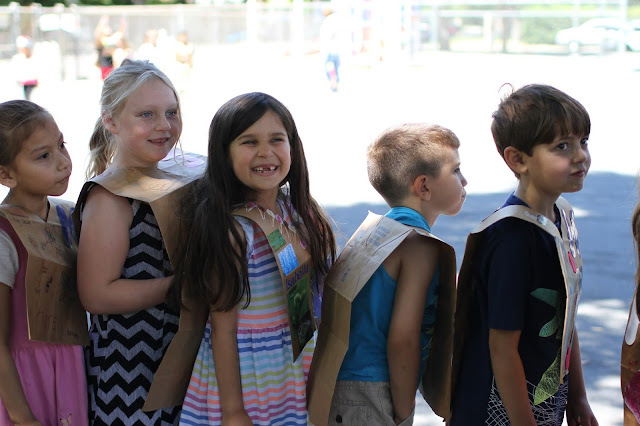 Now on to the big kindergarten graduation! And then Isla's tap and ballet recitals this weekend. To say this week is busy is the understatement of the year. But we are making it through, not even one day, but one hour at a time.